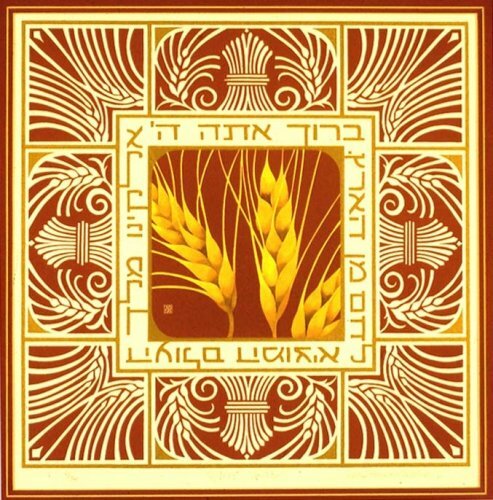 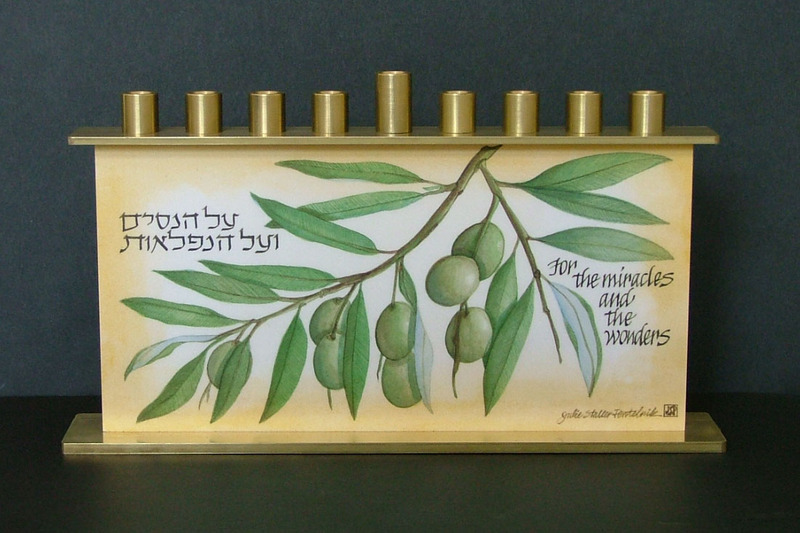 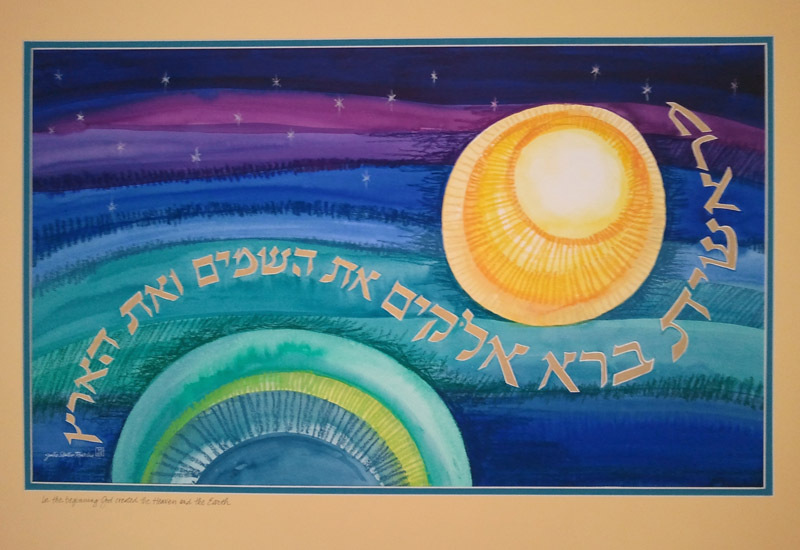 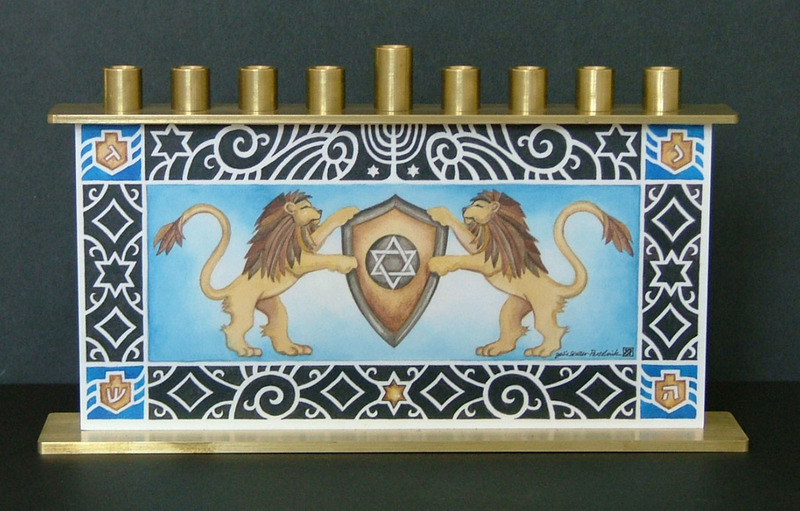 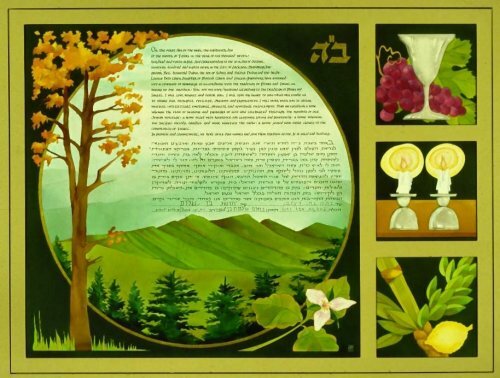 This Brass and art Chanukiah (Chanukah Menorah) was created as an original painting. 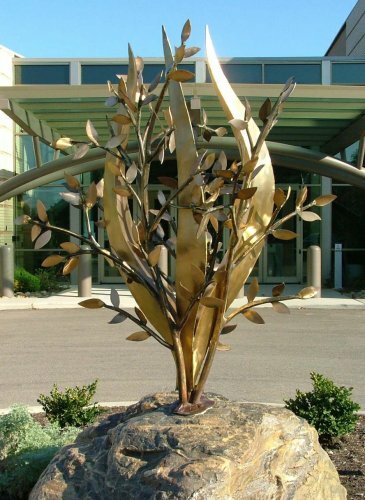 The art was printed onto two sides of a vinyl type material and sandwiched between a polished brass base and top. 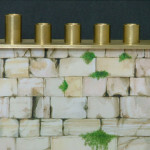 The candle cups are hand drilled brass as well. 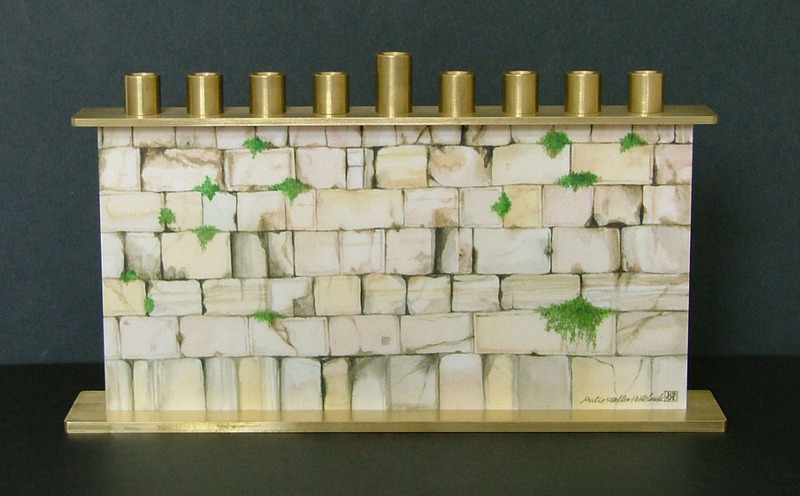 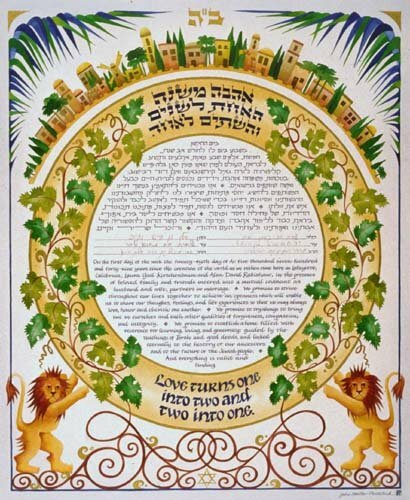 The design is of the Kotel, the Western Wall of the holy city of Jerusalem. 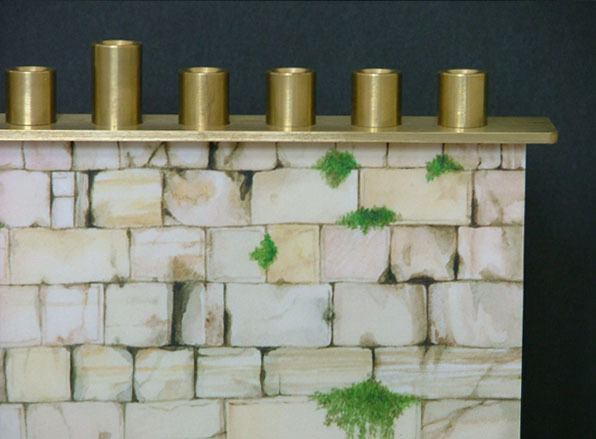 It is painted to look like an actual section of the Western Wall, with the cracks and the grasses growing between the stones. 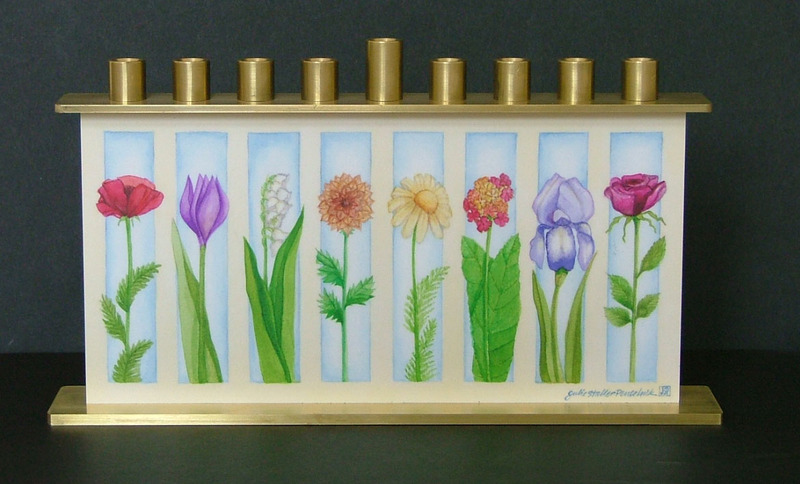 The piece is 11 1/8″ wide X 6 1/2″ high X 2″ deep.